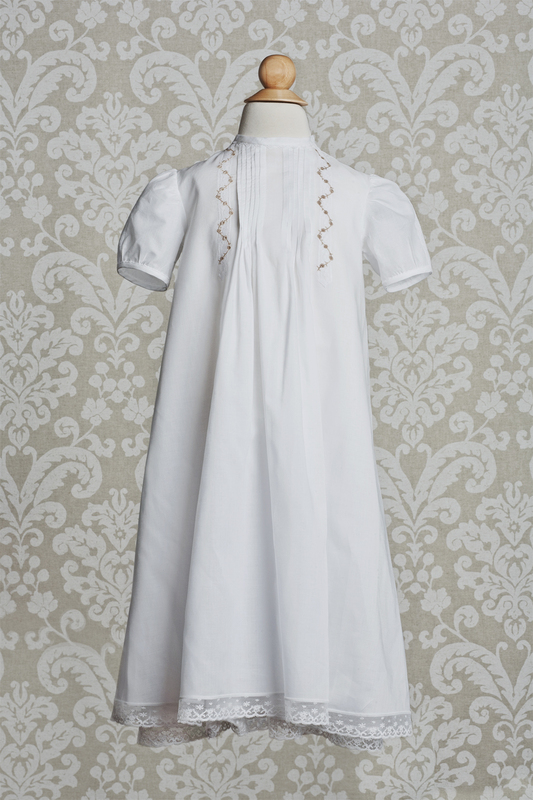 Wouldn’t this dress make your precious baby girl’s christening day or name day one of the most special days you will remember for year’s to come? It is simple – yet elegant – in its simplicity. Softly draping cotton batiste caresses your little girl’s beautiful face with gentle pleats, lace and sweetly embroidered roses. The neck and sleeve bands are trimmed with soft cotton edging, while the hem is finished in a delicate lace that matches the overall graceful feel of this gown and matching slip. 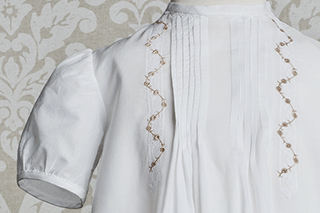 100% cotton batiste – Hand wash in lukewarm water, with a soft detergent. Air Dry. Press with iron on wool setting. 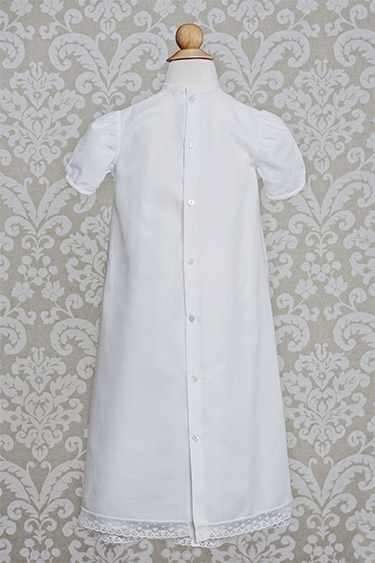 100% linen – Dry clean or hand wash in cool water, with a soft detergent. Press with steam on cotton setting.